Published today, using a technique which looks like trampoline, IBM scientists have measured the thermal conductance of metallic quantum point contacts made of gold down to the single-atom level at room temperature for the first time. As everything scales to the nanoscale, heat – more precisely, the loss of it – becomes an issue in device reliability. To address this, last year, IBM scientists in Zurich and students from ETH Zurich published and patented a technique to measure the temperature of these nano-sized objects at and below 10 nanometer – a remarkable achievement. They called the novel technique scanning probe thermometry (video) and it provided engineers, for the first time, with the ability to map heat loss across a chip, and, more importantly, map heat loss down to the single device level and to map temperature distributions. However, as the size of electronic devices continues to shrink, very soon, 10 nanometers will no longer be considered “small scale”. Testing what is the smallest possible structure that can be thermally sensed will be then become even more critical. Thankfully, to the relieve of scientists working on the challenge of heat removal, these same inventors are now reporting a new breakthrough to do just that, in the peer-reviewed journal Nature Nanotechnology. 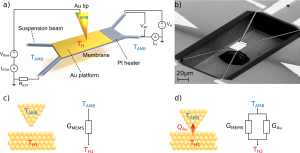 The authors credit two factors for their success: a micro electromechanical system (MEMS) with an integrated thermal sensor that is operated within a vacuum-based scanning tunneling microscope (STM) and an extremely decoupled lab Noise Free Lab, which is shielded from nearly any type of disturbance, including the earth’s magnetic field, cellphone towers and vibrations from a passing train. 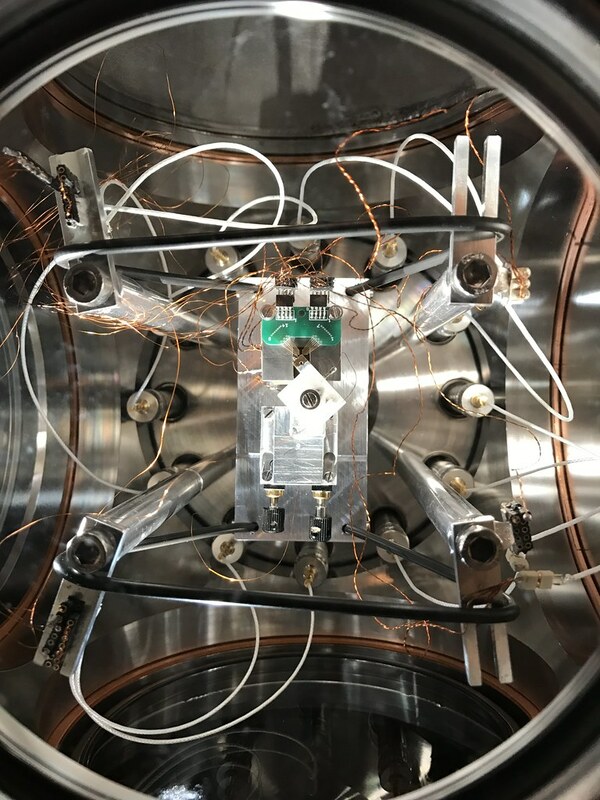 The system essentially combines simultaneous measurements of heat and charge transport to extract the thermal and electrical conductance of metallic contacts. 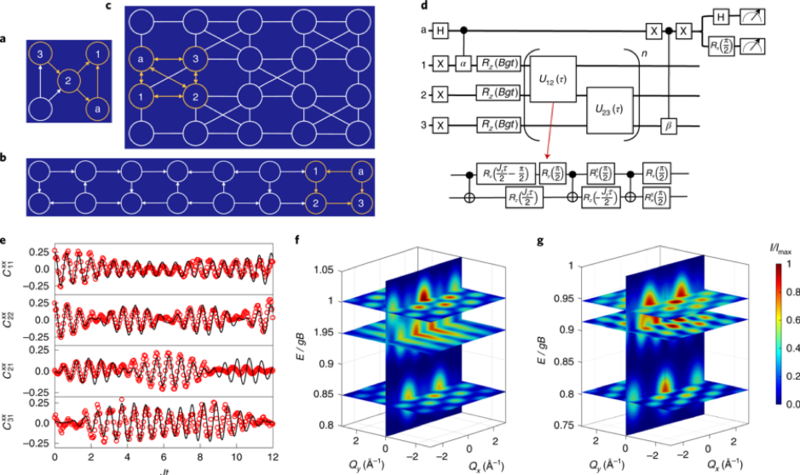 Similar to other STM break-junction set-ups, an STM tip is used to form and break few-atom contacts on a substrate covered by a metallic layer. Here, however, the bottom electrode is integrated on a suspended MEMS to insulate it thermally from the chip substrate. 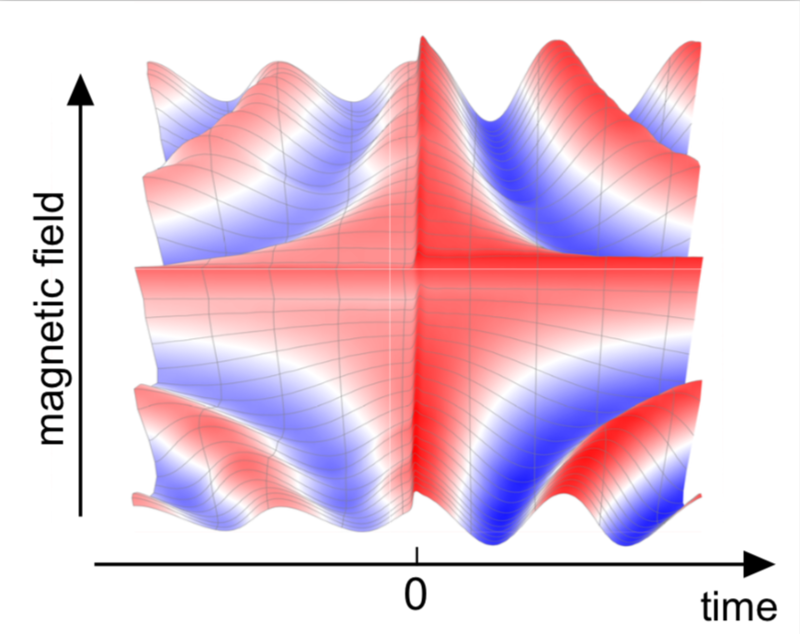 In addition to measuring the thermal conductance within electronic devices the authors believe their results could also find some additional applications. The research was partially funded by the European Commission under the H2020 Molesco project. 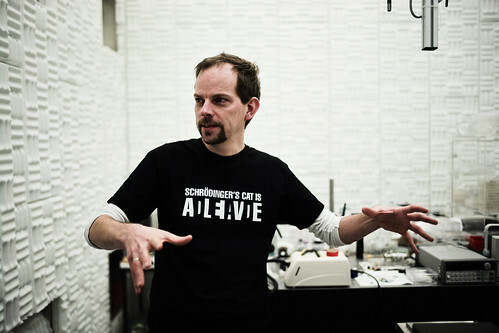 Facebook Live Event: Join Dr. Gotsmann on 10 April at 4PM Paris (10AM New York) on the IBM Research Facebook page where he will show you IBM’s Noise Free Labs, talk about his patents and research and take your questions. 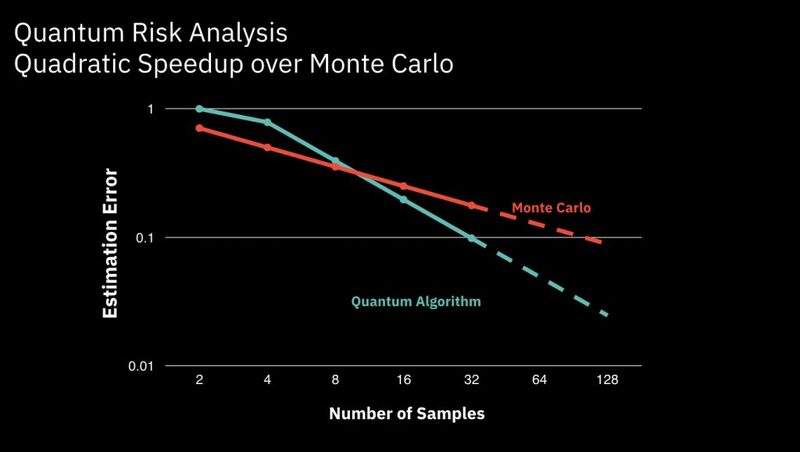 Using quantum algorithms, we have developed a new approach to risk analysis, provideing a significant speed increase over established classical algorithms.